Our vibrant young sales team are both enthusiastic and passionate about Real Estate and Pauanui. They enjoy the lifestyle the small beach side town offers and are incredibly privileged to be able to establish a successful sales career in such a stunning environment. Alyce is now in her seventh year in the industry and as well as being a Sales Consultant she is a co-owner of the Harcourts Pauanui office and manages the Next Generation Pauanui team. Katie is now in her third year selling with previous experience in Property Management. Together Alyce and Katie are a "Dynamic Duo" with a range of combined skills to work for you, whether it be buying or selling. 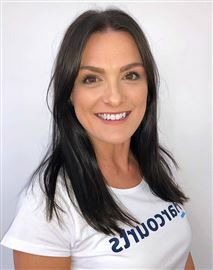 Tylah provides the key part in the team as the Office Administartor making sure the office is always in order and you can be assured of a friendly welcoming smile when popping in to see the team! The Next Generation team have sold over $45m worth of property in Pauanui. For a sales team with seamless systems and processes in place that are getting proven results and with a strong national brand behind them, call the Next Generation Pauanui team today, even if you’re not ready to buy or sell now, talk to the girls and be on their radar. Tylah has lived in Pauanui for six years and absolutely loves the lifestyle it provides. Having worked in the customer service industry during these six years, in the small beach side town, she has become a very familiar face to most and is well respected in the community. 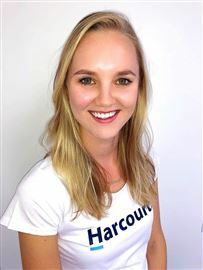 She has been with the Harcourts Pauanui team for over a year now, as a support role to Katie and Alyce, learning all aspects of the Real Estate business. Her positive and bubbly nature makes her easily approachable and a valuable asset to the Next Generation Pauanui team. Tylah is always ready for a new challenge and is excited about the opportunity to pursue a career in Real Estate in the unique coastal market. What a Deal For a Water View!! Plans Have Changed, ACT NOW! For the Love of Boating!! Section - Not Many...If ANY!!! A View to Build Dreams On! Don't Let This One Fly By! If you want Big.. This is BIG! Owners Are Keen to Get Going! Come on Over to Our Place!